What can be done with cheap analogue and high resolution AHD analogue cameras in astronomy? Normal analogue cameras have very low resolution dating way back to old analogue television. Some now have 700 or 600 TVL (TV lines), but may cameras have even less. And most of the older ones are based on Sony CCDs with interlaced shutter, which creates interlacing artefacts on moving objects. Some of those cameras have very good performance in video astronomy due to integration - stacking live frames to get a better image. They don't do long exposures. Looking through YouTube you can find video astronomy videos made with top Watec and Mintron cameras. Those with integration can really show a lot of DS objects on a live view. Those cameras are expensive. Some newer are cheaper like Sony SCB-2000 that have Sense-up to boost image quality and it works somewhat like integration. Such cameras can show a DS object but the image quality will be way below a frame from a digital DS camera working on longer exposures and with no compression or artefacts. 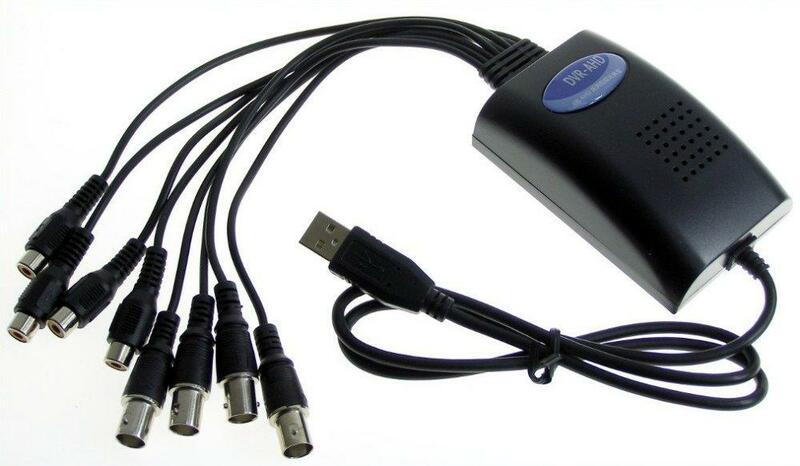 To connect a plain analogue CCTV camera to a laptop or PC you will need a cheap USB DVR card (sometimes called a framegrabber). Depending on the card quality some artefacts may be introduced, but still you shouldn't rush the most expensive ones as your first buy. For a plain CCTV camera board we will pay up to $13-15, and most of them won't have any integration. For some basic usage it's the cheapest you can get - just make a case or use a camera in a simple case with a C/CS lens thread which is the easiest to get 1,25" nosepiece adapters. There is a recent example of using such cheap camera as a guide camera with metaguide. PHD has some problems with external libraries. There are available cheap AHD cameras. 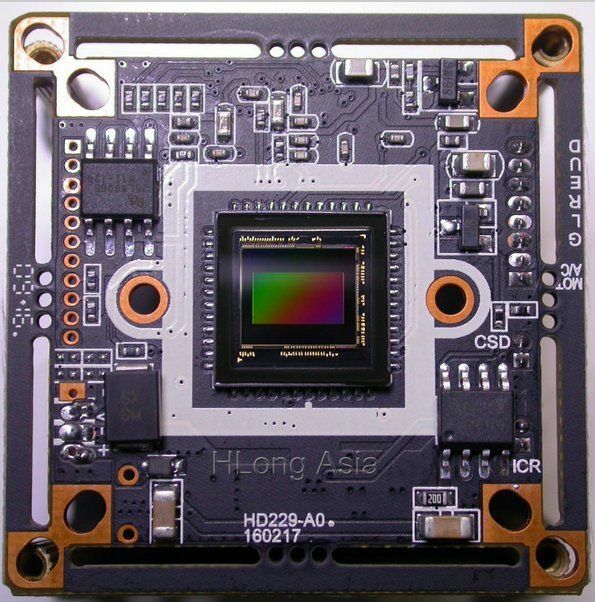 Those have more modern CMOS sensors with 720p (AHD-M) or 1080p (AHD-L) sensors, even AR0130 which is a close counterpart of the sensors used in ZWO ASI120 and QHY5L-II. There is no interlaced shutter and the resolution is bigger which can be usable. 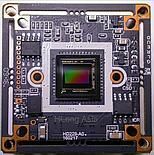 Cheapest cameras start on aliexpress at around 6-7 USD for a board camera with accessories (cables, IR-cut filter, lens and lens holder). Up to around $15 for a full blown 1080p camera with very fresh Sony CMOS. So if it looks cool, it's cheap what's the catch? Well, those are still analogue cameras, most if not all don't have the same integration features as $700-$800 Watec or Mintron, and there will be problems with direct PC connection. As of now there is only one USB (or PCIe) DVR capture card that can handle AHD-M cameras (no AHD-H support!) and can be found on aliexpress and can be in stores near you if you search for it on google, ebay and alike. To record from those 1080p AHD-H cameras you will need a DVR recorder that can record on its own or pass the stream through HDMI to a PC capture card (or to display), sometimes allowing USB output for PC capture (not sure). Capabilities of high resolution non integrating analogue cameras may be limited. With some luck you can use one as a guider, maybe observatory or sky monitoring camera too. Don't get to excited before seeing or making some tests.